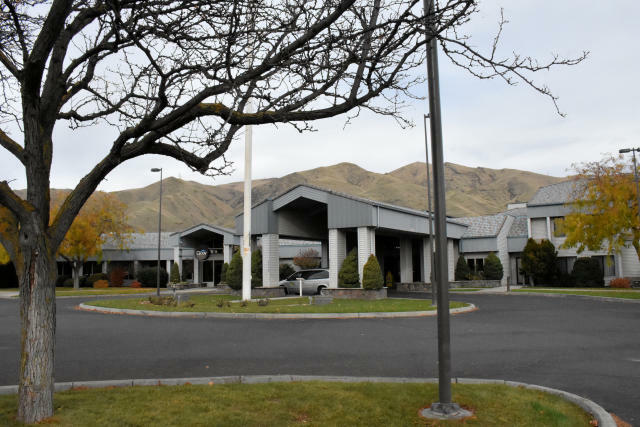 On my trip to Lewiston, Idaho to see the festive holiday lights at Winter Spirit and visit the Lewis Clark Vally wineries, I stayed at the Quality Inn & Suites Conference Center in Clarkston, Washington. It had been ages since I stayed at a Quality Inn & Suites and to be honest I wasn’t sure what to expect. 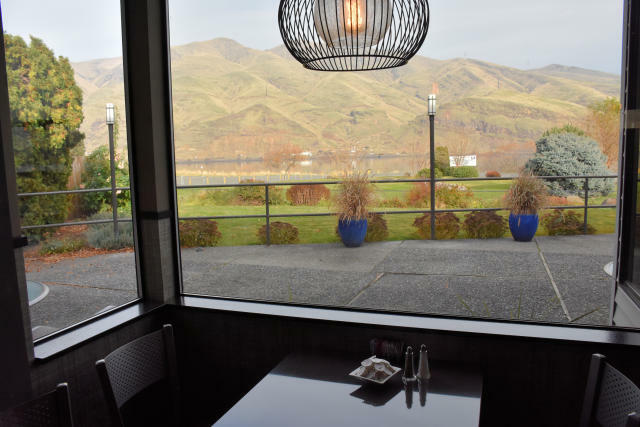 Located along the Snake River, I found the hotel to be very comfortable, the staff friendly, and their made-to-order breakfasts and river view a fantastic amenity. 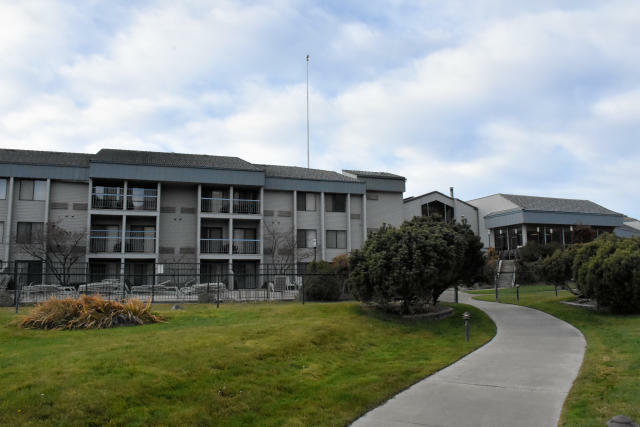 Also, the hotel is close to Granite Lake Park, Basalt Cellars, Riverport Brewing, Roosters Waterfront Restaurant, a short drive to downtown Clarkston and Lewiston as well as Hell’s Canyon National Recreation Area. If you happen to be driving to the small town of Clarkston, Washington and not flying into the Lewiston Nez Perce Airport (Idaho), my first bit of advice is to enjoy the drive. Eastern Washington’s golden hills, basaltic outcrops, and farmlands provide plenty of scenic vistas. If you are like me and like to get off the main highway, you’ll find there are plenty of alternative backroads. Also, the highway to Clarkston runs alongside the Snake River and provides quite a dramatic entrance. Behind the hotel, a trail leads to a riverside park and a driving range. The Quality Inn & Suites is located next to the Snake River, several blocks from downtown Clarkston. The location is a little unusual as it has an industrial vibe with a few warehouse-style buildings nearby, as well as a Costco with a gas station a short drive away. At first, I wasn’t too keen on this, but after spending two days there I appreciated it’s location for there was very little nearby traffic which made for a more relaxing experience. Check-in went smoothly and with my key card, I was given two tickets that could be used for a drink in the lounge or breakfast the following morning. Seconds later, I headed to my second-floor room which featured a tastefully decorated room with a king bed, a sitting chair, desk, television, microwave, refrigerator, a bathroom, and a balcony. My favorite feature soon became the private balcony with a view of the Snake River and Granite Lake Park. If it had been a warmer time of year, I would have spent every spare moment on the balcony taking in the view. During my two days at the hotel, the room provided all the comforts I needed including a good night’s rest, a working space, and a hearty breakfast to start my day. *Please note that rates adjust seasonally, and there might be special discount rates available, such as Choice Hotel’s Pay Now and Save option. An important feature, particularly for summertime travel, is the seasonal outdoor pool and hot tub. This area also has a view of the Snake River and the landscaped park and trails. Since the pool was closed during my stay, I had assumed the hot tub was also. But one morning I heard the laughter of children outside and saw a parent and their kids enjoying the hot tub. 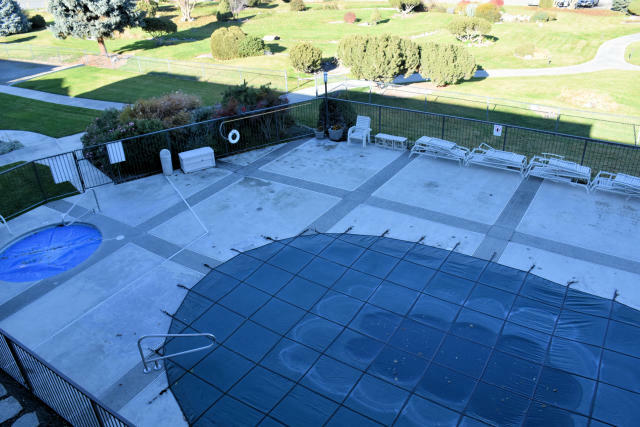 Another feature outdoor enthusiasts and families will like is the hotel’s proximity to Granite Lake Park and the driving range at Dave’s Golf Shop. From the hotel’s pool area, one can access the path that leads to these areas. If you are a history buff, the park trails have Lewis and Clark Expedition historical markers. Travel Tip and Deal: There are lots of outdoor and watersport adventures to be had in Clarkston and Lewiston, and if you can bring your own equipment. If you need to rent gear, Full Throttle Sports Rentals (in neighboring Lewiston) has a deal on LivingSocial for $20 for $30 worth of watersports-equipment rentals. Travel Deal: If you are going to the Lewis Clark Valley to experience Hell’s Canyon, Beamers Hells Canyon Tours is offering a great deal on Living Social for $159 for an all-day jet boat tour with lunch and drinks for one (normal price $219). Purchases can be used up until 10/1/18 so if you are for sure going to Lewiston or Clarkston this summer it is an excellent deal. At The Quay most of the tables have a view of the restaurant. If you opt to use your ticket for breakfast instead of a drink, this is where you’ll dine. Their breakfast menu (pancakes, waffles, burritos, omelets, and much more), impressed me, and I’m pretty sure it would please anyone. The first morning I had a Denver omelet with ham, onion, bell pepper and Cheddar cheese. The second morning a California omelet with bacon, tomatoes, mushrooms, avocado and mozzarella cheese. Both were fantastic, the hashbrowns were not greasy and the staff friendly. The Q Lounge is off the lobby and you can redeem your drink ticket here. They serve cocktails, beer, wine and appetizers with specials throughout the week. Unfortunately, I didn’t have the opportunity to check it out but I snapped a few photos and take in the river view. Would I stay at the Quality Inn & Suites again? Yes! As a frequent traveler, I really appreciated the made-to-order breakfast and the river view room. Other features, such as the pool, on-site dining, a lounge, and pet-friendly rooms, are also huge perks, as well as the nearby park and driving range. The hotel is also in a great location, and nothing is too far away. Carless Options: The Lewis Clark Valley is beautiful and you’ll want a car to explore the area. Dining Travel Tip: Clarkston, Washington is right next to Lewiston, Idaho and you’ll have restaurants from both states to choose from. I can recommend Jollymore’s, Lindsay Creek Vineyards, and a short drive away Colter’s Creek Tasting Room and Restaurant. I also heard good things about Saute on 6th, and Roosters Waterfront Restaurant and Hazel’s looked like fun local hangouts. Wineries: If you love wine, you’ll want to check out the wine scene. 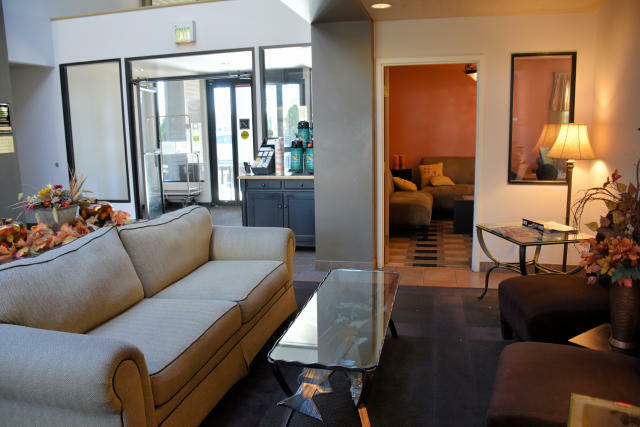 Basalt Cellars is within walking distance of the hotel. Other wineries I visited were Lindsay Creek Vineyards, Colter’s Creek Vineyard, and Clearwater Canyon Cellars. I will be writing about these wineries soon, until then, you can learn more about them here. Activity Tips: The area has lots of outdoor recreation, such as hiking, biking, and fishing. A popular summer activity is visiting Hell’s Canyon and taking a jet boat tour of the river. As I mentioned, there is a great deal on Living Social for $159 for an all-day jet boat tour with lunch and drinks for one. History and culture lovers will appreciate the many Lewis and Clark Expedition historical sites and the nearby Nez Pearce National Historical Park. To find out more about Clarkston, WA check out Visit Lewis Clark Valley. 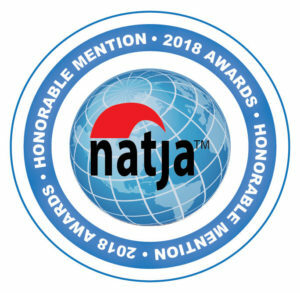 , Hotels.com, Expedia, and Travelocity. Love driving through Eastern Washington and a room with a view. I’ve never thought much of the Quality Inn experience but you’ve got me reconsidering. Elaine, It had been years since I stayed at a Quality Inn and my memories of them were that they were pretty basic. I was pleasantly surprised by the Clarkston location and all it had to offer. I so enjoy when a place surprises you. How nice. I love that there are river views and a restaurant with a happy hour! Those little details always make an accommodation extra special. The view at the Snake River is great, but since I’m not driving – even in the US I did travel on public transportation – it will be probably not accessible that easily. Too bad, since the breakfast with the avocado on top seems to have my name on it. Wouldn’t actually expect something like this at a Quality Inn. They seem to improve. I have never visited the US but Washington has always been among the states that attracts me the most, for its natural areas. 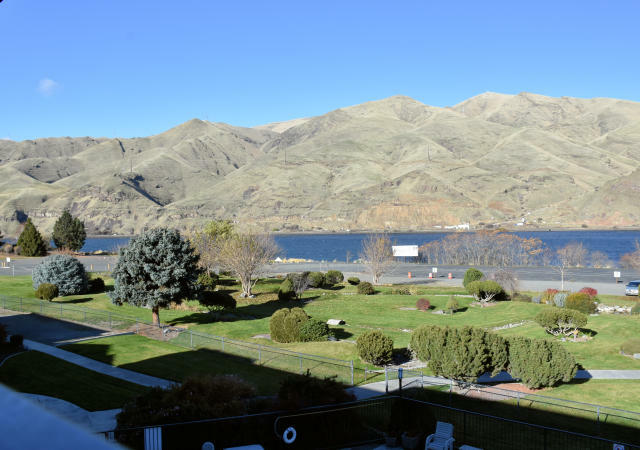 The view to the Snake river is just so beautiful – definitely a hotel to include in my itinerary next time when I finally get to go! Julien, Washington is a beautiful state, and has such diverse landscapes. I hope you get to visit soon! I am not from the US so I have never heard about Quality Inn & Suites before. From reading this, it reminds me of a UK brand called “Premier Inn”. They aren’t 5* luxury but also not 1* hell either. They are relatively basic but comfortable and at least you know what you are getting. I think sometimes that is worth quite a bit as it takes out some risks as well. And sometimes, like you experienced here, there are also very good ones as well. Damien, Yes, the chain sounds similar to the Premier Inn. A good hotel with basic amenities, and sometimes locations have amenities that really stand out from the rest. The UK is on my list. I will have to keep in mind that brand. Thanks! Jennifer, Thanks so much for commenting. Those hotel views are breathtaking! I just love waking up and looking out on the nature that lies in Washington. Such a beautiful state! Thanks for sharing. Russell, I so agree! A beautiful view in the morning gets your day off right! I’m surprised a Quality Inn had made to order breakfast. I have been to Lewiston but never stayed in this part of Washington. Will have to checck it out. Alice, It is a very nice feature, way better than a typical hotel breakfast. You had me at “river views”! The area is indeed beautiful and I love that the drive there has so much to offer. We are addicted to road trips, especially in the USA so I’m noting this down because we’re surely lodging here next time we are in the area! Dany, Love road trips too! Eastern WA and Idaho are very scenic. You’ll love it! I have stayed in a lot of Quality Inns and some are nicer than others. This looks like one of the nicer ones! The grounds look really nice. I would definitely consider staying here. Thanks for the post! This is a lovely hotel. For me, the best part is the fabulous views from the hotel rooms. The other thing is the trail to the river park. The setting of the hotel is absolutely magical in the midst of nature. Of course, the interiors and other facilities look definitely up to the brand promise of Quality Suites and Inns. Sandy, Can’t beat a view like that! Good to know there is a nice place to stay. Always see lots of recommendations for the snake river with Uncruise.